The land at Tremenheere Sculpture Gardens in Cornwall was owned by the monks of St Michael’s Mount until 1295, when the it was bought by Michael De Tremenheere, an established tenant farmer. He began a lineage of 600 years where the land carried the name Tremenheere. This persisted until 1890 with the last Tremenheere, Seymour Tremenheere, to whom the gardens are greatly indebted. He planted the Beech, the Oak, the Sweet Chestnut and Holly throughout the woods in approximately 1830. As well as the tree planting, he created a carriage way which zigzagged its way up the hill to his summer retreat. Seymour Tremenheere was a prominent national figure, being First Inspector of Schools, Inspector of Mines and whilst living in London, travelled to Cornwall in a yellow chariot. He also created a fine cut stone entrance bridge which carries his initials and the date 1849. The land at Tremenheere was said to be the vineyard for the Mount in the 15th Century and a noted strawberry growing area with products being exported to Newfoundland during the 1800s. The land is south facing with good soil. The pH varies from 7.2 in the previously highly cultivated areas to 4.6 under the beech trees. It is early favoured land, largely sheltered from prevailing winds by the mature woodland and the particularly sheltered valley landscape. A free-flowing stream runs through the bottom of the valley and several substantial ponds are aligned nearby. The total area amounts to 20 acres and is situated a mile east of Penzance along a stretch of land known as the Golden Mile. 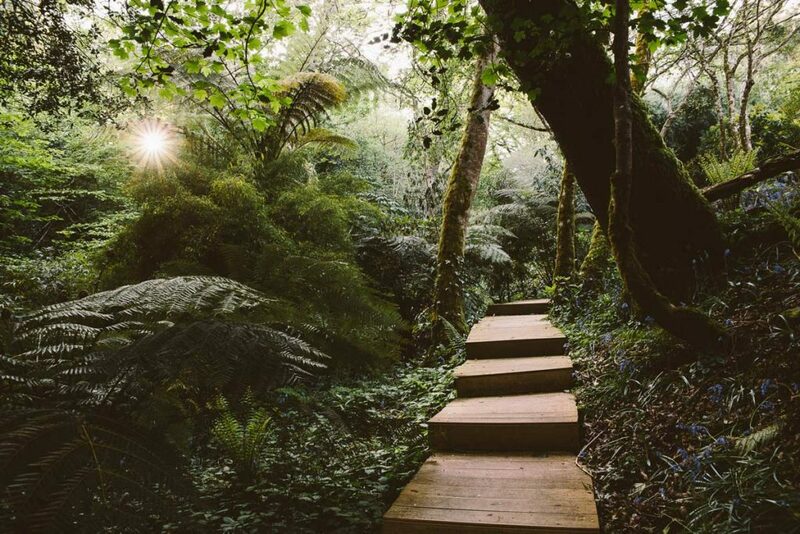 As well as the happy combination of good soil, mild microclimate and shelter, the land benefits from majestic mature tree woodland and outstanding views across the bay to St Michael’s Mount. 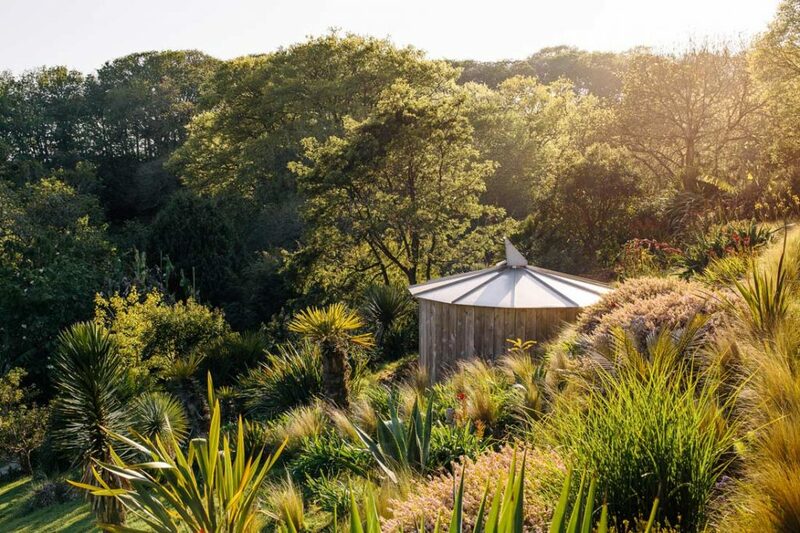 The guiding principle of the garden has been to evolve a naturalistic, Arcadian space that blends elements of landscape, planting and art to create a place for contemplation and wonder. After the Tremenheere lineage fell away the Pearce family farmed the land for 4 generations. Then in 1997 Dr. Neil Armstrong acquired the core valley to which other fields were added in the interim. Neil acquainted himself with the land by tackling heavily overgrown scrubby woodland with 10 foot high brambles, wild rhododendron and impenetrable swamp. Some of the open areas had been heavily colonised with bracken and fallen trees which liberally arranged themselves in the uncultivated sections. The land however immediately announced itself as having tremendous potential with its natural assets – the habitats were varied from pond to dry, arid slopes. A planting scheme and landscape design was largely dictated by these natural features. There was no big house, which liberated him from the clumsy imposition of the driveway and allowed him to create paths to follow the natural camber of the hillsides, using directional prompts and framing vistas as appropriate. The visitor is now drawn into the gardens from a modest track and is surprised to find the land opening up in a wide generously sized landscape. The first planting was of course the wind shelter breaks to the north and the east; the Pinus radiata, Quercus ilex and sundry native trees have since established themselves and within a short time have reached 30 feet or more. 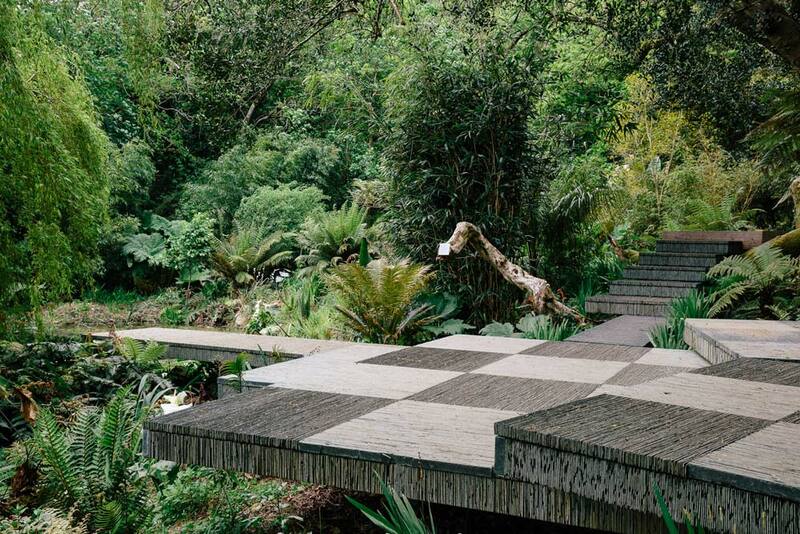 The steep terrain dictated the need for access tracks and these conveniently compartmentalised the garden, creating different moods in different areas. Tremenheere hopefully will add to, and complement the established, magnificent gardens of Cornwall. 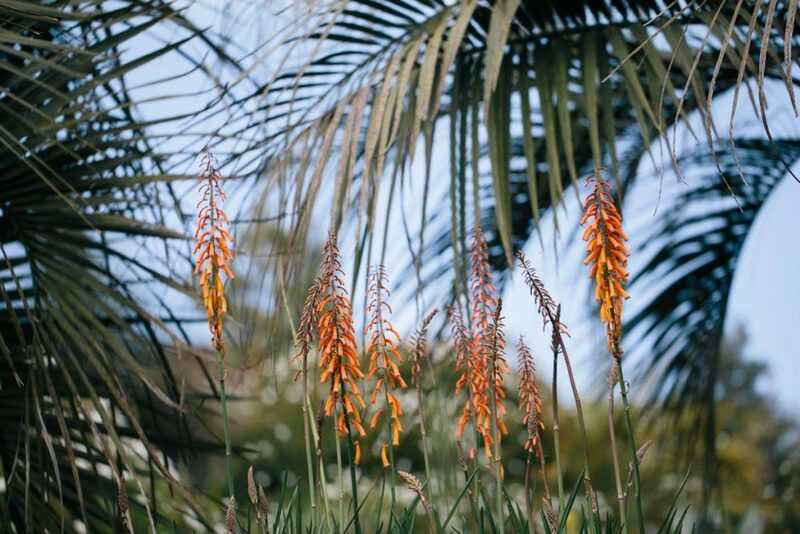 The strongly structural planting scheme with a sub-tropical emphasis means the gardens do not follow the traditional spring flourish but have more of an all-season interest. The artwork and landscape retain their interest and appeal at all times of the year.